Curious as to where the LiMe has been spotted? Or where the LiMe team will be next? This page provides you with information about upcoming LiMe happenings and past events. Not only will you find information, but also our gallery of photos taken at the events. 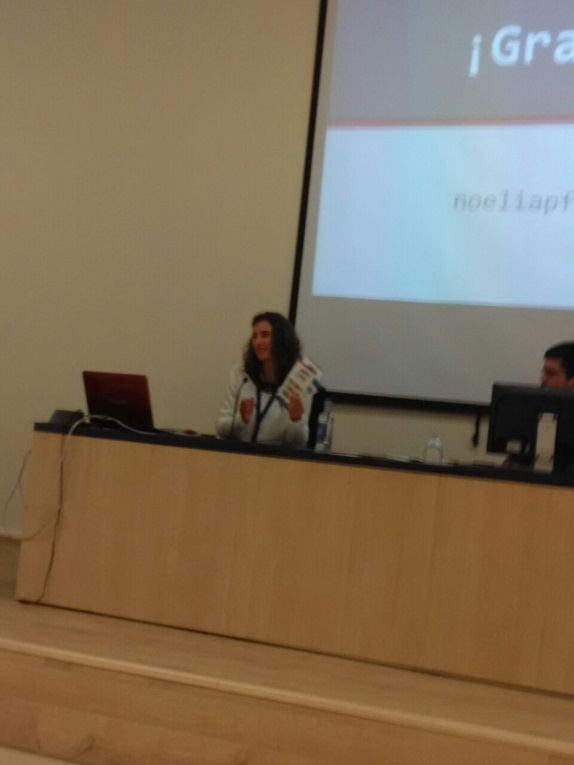 The research group GexCALL (University of Extremadura) presented the main outcomes of the LiMe project in the young linguists´meeting held in Cáceres (Spain) on the 11th & 12th of December 2014.
http://jornadasiniciacioninvestigacionlinguistica.wordpress.com/. Leaflets and stands with computers were also available for those interested in trialing the LiMe Moodle platform. 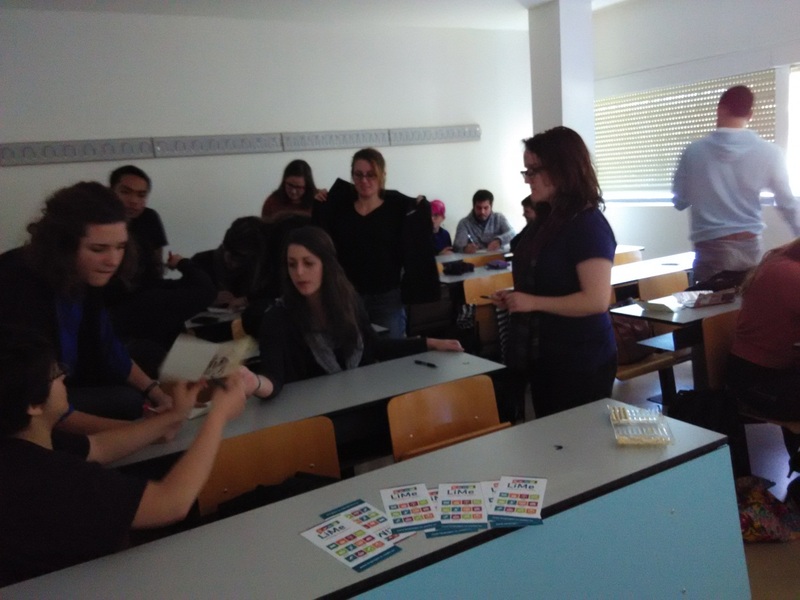 Another event was developed on the 10th of December to inform immigrant population, especially Erasmus students, about the LiMe project and the LiMe Moodle Platform. The students navigated and tested the Moodle platform with the support of a teacher trainer. Most of the students were interested in having access to the platform for improving their language level & cultural knowledge and understanding. The overall experience was pretty positive and fruitful for them. They were invited to attend the final conference. The annual EXPOLINGUA in Berlin, Germany took place on the the 21st and the 22nd of November and LiMe was present. Almost 10,000 persons took part in the two day event. The Volkshochschule im Landkreis Cham e.V. presented the project during the exhibition, where stand visitors were able to use the LiMe Moodle platform, as well as take home a LiMe souvenir - magnet or the LiMe multilingual memory game. The coordinating institution also had the privilege to hold a workshop focused on the project activities and the learning platform which was attended by over 75 language teachers, teacher trainers, language learners and language enthusiasts. This event was also the perfect occasion to announce the LiMe final conference on the 17th of March 2015 in Cáceres, Spain and the conference online session from the 11th to the 16th of March 2015. The VHS Cham was busy presenting and promoting the project LiMe and the current LiMe Moodle Platform. The VHS Cham travelled to the Adult Education Centre (VHS) in Erding and the VHS in Regensburg for an afternoon workshop. Language teachers for not only German, but also Spanish and English language attended the hands on event. Teachers were able to navigate and test the Moodle platform with support from a VHS trainer. On the 20th of September, the VHS Cham was present at the Upper-Palatinate Language Day. Over 50 language course instructors for Spanish, English, German, Italian, Polish and French attended the one-day event in Weiden, Germany. LiMe materials were found at the VHS Cham stand and they were able to gain a more in-depth look at the LiMe materials during an afternoon workshop. Overall the experience was positive and fruitful. The VHS Cham raised not only the project awareness, but also was able to collect feedback from teachers and teacher trainers which will be included in the final pilot report. GexCALL research group (University of Extremadura), aiming at evaluating the training package of LiME, organized a workshop which started on 20th June 2014 and ended on 26th June 2014.3 teachers and experts from different parts of Spain were invited to take part in it. The one-week Spanish training seminar was developed online and the material can be found by clicking on http://cumnectados.unex.es/web/. The VHS Cham represented the project LiMe at an event organised by the Bayerischer Volkshochschulverband e.V. (Bavarian Adult Education Centres), an associated partner of the LiMe project, on the 2nd of June in Nuremberg. Over a hundred participants took part in this one day event which included key-note speakers, presenters, exhibitors, stakeholders and also workshops all related to the topic online learning. In the afternoon the VHS Cham presented the workshop “Zeitgemäßes Sprachenlernen – Modern language learning” which focused LiMe learning platform and the media resources. Workshop participants also took part in brainstorming and discussion session on the media – Signage. GexCALL group (UEx) hosted an online piloting session from Thursday 3rd to Tuesday 8th April, 2014, offering its guests an insight into the first stage of the resource development and piloting the already created resources (available at: http://cumnectados.unex.es/web/). The event led by Dr. Mercedes Rico, invited approximately 250 teachers, students and language providers to trial the first two Spanish resources, Radio News and Movie Trailer. Following the testing, the teachers, associate partners and students were invited to assess the newly created resources by filling a questionnaire and leading to important feedback to further improve and develop the resource bank. Language Networks for Excellence at the University of Wolverhampton hosted an information and piloting session on Thursday 28th November, 2013 at TLC College in Wolverhampton, offering its guests a complimentary lunch and insight into the first stage of the resource development. The event focussed on introducing the Languages in Media’ (LiMe) project; developing language skills and cultural understanding through the use of media such as TV soaps and music videos. The scope of the project is to assist migrant learners by providing them with online tools to decode language and culture as portrayed in various types of media and the event invited 18 teachers and numerous students of the college to trial the first resource which was a movie trailer. The event opened at 12 noon with sandwiches and refreshments, followed by a project brief and resource trial from 1 – 3.30pm, led by Angela Molinari, Head of Language Networks for Excellence. Following the testing, the teachers, associated partners and students were invited to discuss the newly created resource, leading to important feedback, which was used to further improve and develop the resource bank. Update: The first design of the platform is ready for partners to upload materials! In the next weeks, partners will each be uploading six units (Movie trailer, TV-Soap Opera, Radio Traffic, Newspaper, Radio News, Music Video) to the Moodle learning platform. This is a vital step in the upcoming piloting phase of the LiMe project. At the beginning of May, the Consortium will be meeting in Empoli, IT to kick-off the LiMe piloting phase with language teachers from each of the partner countries. The gathering in May will also mark the third project meeting; partners will discuss the impending piloting in the partner countries with at least 10 language teachers and 30 migrants from each of the partner countries – DE, ES, IT, PL and the UK. 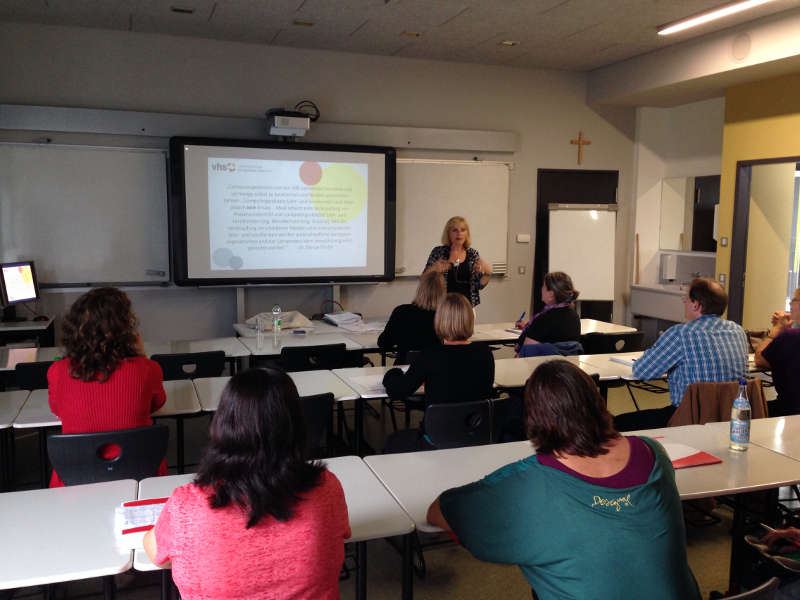 On November 8, 2013 twelve languages teachers working for the VHS Cham attended a workshop on innovating methodology for language learning. During this event the project LiMe was presented to teachers as well as an update on the upcoming piloting of materials in 2014. Many of the language teachers are eager to support the LiMe project by piloting the platform in the spring/summer of 2014. 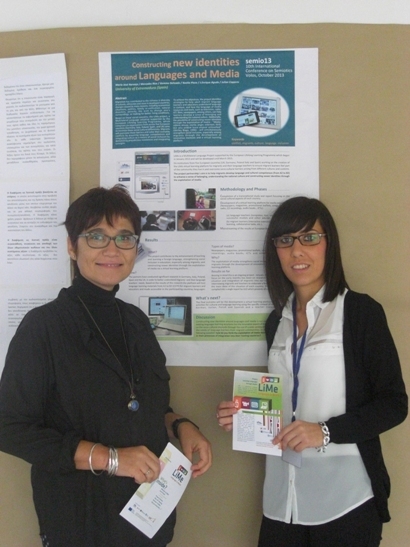 In the autumn of 2013, the Project LiMe was present at two international conferences. At the beginning of the October, LiMe was presented at the 3-day international conference YELL2: Sharing to Inspire Language Learning across Europe in Birmingham, UK to almost 80 language teachers, course designers and experts. 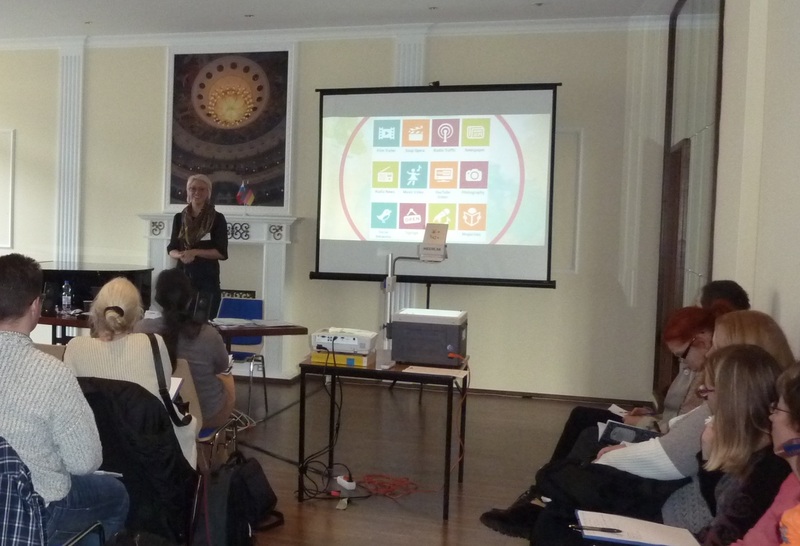 The second appearance was at the 1-day international conference on October 11th, DysTEFL – Dyslexia for Teachers of English as Foreign Language which took place in Lodz, Poland and was visited by 140 delegates, consisting of pre-and in-service teachers of English, teacher trainers and experts. At both conferences delegates received flyers and newsletters about the latest and upcoming project achievements. The UEx team has had an excellent opportunity to present our current language learning project, LiMe: Languages in Media, in the 6th edition of the international conference “ICT for Language Learning” held 14-15 November2013, Florence (Italy) and which aims to promote and share good practice and transnational cooperation in the field of the application of ICT to language learning and training. LiMe at the "4th World Conference on Learning, Teaching and Educational Leadership"
The UEx has presented LiMe at the "4th World Conference on Learning, Teaching and Educational Leadership, 27-29 October 2013, University of Barcelona, Barcelona – Spain"
In the 21st century, the provision of education that relates to an individual’s interests, needs, expectations and global expectations is gaining importance day by day. Moreover, the match between an individual’s characteristics with the environment in which learning takes place, together with the management of those learning environments are also important. In this framework, the conference aims to bring together educational scientists, administrators, counselors, teachers, graduate students and members of NGOs to discuss theoretical and practical implications of learning, teaching and administration in a scientific environment. The scope includes, among a wide range of topics, education, teaching and learning (in all their varieties and methodologies) as well as assessment procedures, the increasing use of Information and Communication Technologies and the awareness of social aspects, such as the current multicultural, multilingual and globalized context. The UEx has presented LiMe at the 10th International Conference on Semiotics in Volos (Greece), the 4th -6th October 2013. Constructing New Identities around Languages and Media, the abstract’s title, summarizes the projects’ aims, that is, to identify strategies to help adult migrant language learners and educators understand language in context, and how the language of media resources and tools, such as television, radio, ICT, films, newspapers, among others, can help learners develop a sense of belonging and understanding the national culture. 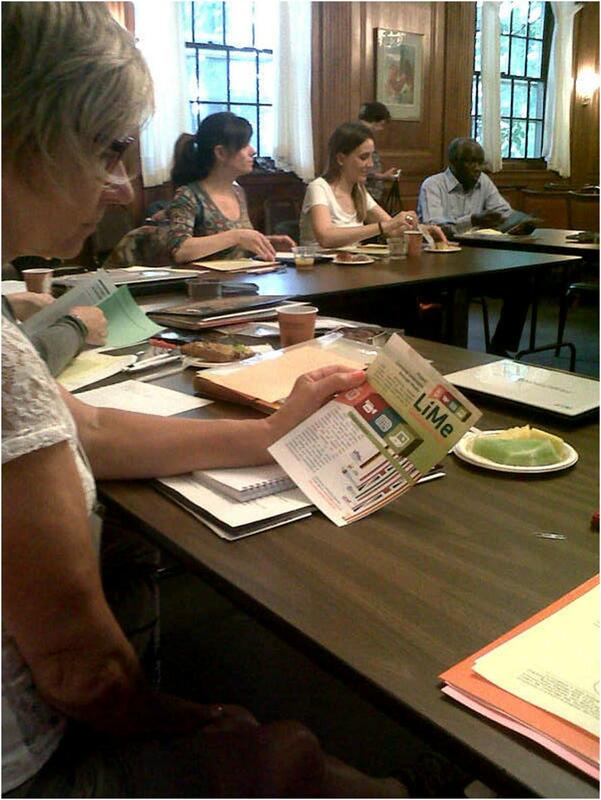 The University of Extremadura has presented LiMe at the Conference of managers and directors of study abroad programs which was held at Kalamazoo College, Michigan (USA), the 23rd -29thJune 2013. Aiming at sharing experiences and international collaboration, the idea of language learning and teaching of a foreign language for migrants through the LiMe interactive multimedia platform was warmly welcomed. Future updates will be provided to raise the project awareness and disseminate it. The second partner meeting of the LiME project was held in Wolverhamptom (UK) between the 12th and 14th June 2013. Representatives from all the partner institutions worked on the analysis of the current state of the project and devised future tasks and activities. The design of the website, the development of language and culture resources for migrant learners and the completion of training packages for teachers are the priorities for the following months. The kick off meeting took place on 28-30 January in Cham, Germany with the attendance of at least one representative from each partner country. The meeting opened with a warm welcome to the partners who soon began their exciting work on the project. In the next few months we will report back on the results of the contextualization research and will compile a report of questionnaires and interviews carried out with migrant learners and their teachers. LiMe is a Key Activity 2 Languages Multilateral Project, financially supported by the Lifelong Learning Programme. LiMe aims to help migrants develop language and cultural competences by providing them and language trainers with interactive tools to decode language and culture as portrayed in various types of media. Although culture is often included within language courses, integration of migrant learners through greater cultural understanding can be enhanced through the use of media as a source for culture and language skill training. The purpose of the project is to create an interactive multimedia environment to facilitate the use of interaction media for cultural and language learning purposes. This will support not only linguistic integration, but also cultural integration of migrant learners into the community where they live in. The project tackles teaching and learning of languages and culture starting from a shared understanding; inte-gration means feeling part of the local communities. 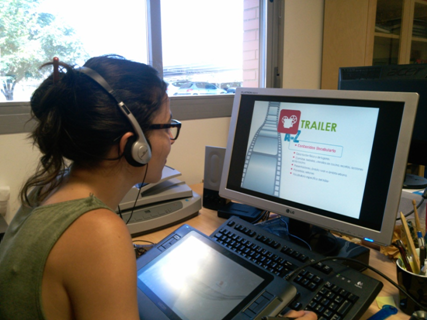 The main outcome of the project is the development of a virtual learning platform which hosts learning materials from A2 to B2 (CEFR). In addition to learning resources and training materials, a teacher training package for integrating media into language teaching will also be made available for teachers and trainers.